If you are getting bored with your job and want to do something exciting, you can consider some of the small manufacturing business ideas which can be started with a low investment. There are several manufacturing business ideas, however, all of them may not suit everyone. One should be able to pick-up good manufacturing business idea before jumping into the business. Which are the best 50 small manufacturing business ideas with low investment? Which are the small manufacturing businesses that may suit you? Also Read: ICICI Bharat Consumption Mutual Fund Scheme – Should you invest? Here are some of the best small business ideas in the manufacturing segment. 1) Textile manufacturer: Textile is one of the topmost prioritized manufacturing business with small to large investments. The business requires space and machines. If you have initial capital you can opt for bank loan facilities and start up your venture. 2) Incense sticks making: Limited space, limited capital and growing opportunities. These days a lot of incense sticks (Agarbattis) are being exported around the globe as well which further increases your market. 3) Pickle Making: Indian food is incomplete without picket. So explore and create traditional and healthy pickles to create your own brand and grow big in the market. Limited capital, space and time needed to make the same if you have the right set of labors to work for you. 4) Cashew processing: India is an agricultural country and cashew nuts grow in abundance. Indian cashews are also well known across boundaries. Cashew nut processing which includes removing the cover as well as making it more saleable by making it salted or adding different spices. This is one of the best small manufacturing business ideas as there is good demand for processing cashew in India and across the world. 5) Cotton bud making: This is one of the small and labor-intensive unit to make simple but a moving product. There are a lot of competitors, but the use and throw nature keeps the demand for the same high. 6) Biodiesel production: Biodiesel production is a small-scale industry and the major raw material Jatropha oil is easily available. As people are shifting to renewable sources of energy due to reduced renewable sources, biodiesel production is one of the future needs. As the name suggests bio means attained from plants and animals. This will have an increased use in the future and requires average capital to start the business. This is one of the top emerging small manufacturing business ideas now. 7) Dairy product manufacturing: This is another booming industry. There are innumerable products, which can be formed from milk. Ranging from ghee, butter to cream, you can keep on increasing the range of produces depending on the capital and space available. However, do remember to get the right licenses and keep it clean. 8) Flour production: Well, if you have very small capital, you can start with the initial level of flour production which would also include grinding wheat and other grains. As people are getting extremely health cautious, you can also keep a variety of grains to attract potential customers. 9) French fry making: This is a brilliant small-scale industry, which requires the right machinery and sourcing of potatoes, and you are good to go. If the quality is good, even big chains of fast food might get connected to you. 10) Liquid soap making: It is much simpler than it sounds. Sourcing the right products and mixing them in different recipes and fragrances can make you earn some good money. Do not forget to test the products before selling the same. 11) Furniture Making: If you have the right skills and some space and capital, you can start your own furniture manufacturing. Get associated with the interior designers in town as well as sell online. Hard work, good quality and competitive prices might make you get good clients. This is one of the every green manufacturing small business ideas now. 12) Candle manufacturer: Again, it is much simpler and smaller than it sounds accompanied with small space, less capital and online sales. This would be a great idea for the smart start. 13) Leather bag manufacturer: Leather bags are used for a number of purposes like handbags, wallets, laptop bags, school bags and so on. Making the same is simple and requires creativity for differentiating it from the competitors with low capital. 14) Biscuit making: People like homemade biscuits. Biscuit making business is a small-scale industry, which can start with low start-up capital. It requires basic infrastructure and has a low start-up cost. 15) Candy / chocolate making: This industry really works well for those who have limited time and resources. Chocolate making requires basic recipes, good taste and quality ingredients have a strong base. If the same is accompanied with beautiful packaging it works well as gifts for weddings, birthdays, formal meetings etc. 16) Ice cream manufacturing: Ice cream is the favorite edible that breaks in almost all seasons. Ice-cream manufacturing needs little space and good infrastructure to keep the product healthy and in a solid form. Advertisement of the same is extremely important to make the customers confident about the product. 17) Jam manufacturing: This again requires little expertise, capital and skills. Although a lot of creativity can be added to change the taste as well as the look of the bottle to make it all the more attractive. Organic and no preservative jams are still hot selling gifting items. 18) Honey processing: Health cautious people are using Organic honey. If you have the right resources honey processing can help you get a lot of returns. Large companies like Patanjali have also entered the market. 19) Organic soap making: Soap making needs limited capital, but lots of creativity to sell the products in the competitive market. As soap making has become a common business these days, unless the same is differentiated it would not have a good market. So back up your business with lot of market survey and creativity. 20) Hair and beauty products: People who have knowledge about the hair and beauty products and have the required capital to carry out the same, hair and beauty products which are made from quality products might get good market and money. 21) Cake making: Bakery and even just cake making with or without eggs are a brilliant non capital-intensive business. It requires limited capital and is a brilliant idea to grow with growing demands. However, as the same has limited shelf life there should be a well-determined potential market for sale of the same. 22) Fruit and vegetable Mart: This is the business, which does not sound very lucrative actually caters to the necessities of every household and is economically fruitful. Small investment would be sufficient to set up a hygienic, covered and well equipped Mart, where people can buy vegetables and fruits under one roof at reasonable prices. This is one of the best small manufacturing business ideas who want to start in their locality with low investment. 53) Bakery / Bread making: Bakery items are such that if any manufacturing good quality at competitive prices it is consumed by a saturated market also. Bread is one of the most favorite breakfasts for most families. Bread along with the bakery items can create a stronger base of customers to grow bigger and better over time. 24) Rakhi making: If you are planning to start soon, do consider the option of online and offline selling, trading and manufacturing of Rakhis. It might look that there are so many people pursuing this work, but if you consider the consumption levels, it might be a good idea. This is a seasonal business. 25) Jute bag making: With plastic bags getting banned, this is the right time to enter into manufacturing of jute bags. It is a low cost, low margin business. However, what will make to mint money in this business is mass selling and economies of scale. 26) Meat processing: If you are a non-vegetarian or your customs permit the same, meat processing is a high margin business to try out. 27) Microbrewery: With increasing stress levels and social need, microbreweries are growing. Why not get into this market before it’s too late. Do consider the licensing in the city you stay in before getting into the same. 28) Naphthalene ball making: With increasing humidity and extreme climates, people use naphthalene balls to prevent their woolen clothes from getting spoiled. It is also used in washrooms, urinals etc. This is a good option for a side business. 29) Noodles / spaghetti making: Both instant and normal noodles can be prepared for processing depending on the need and the market. Make sure about the quality and food licensees when entering such markets. 30) Embroidery services: Gujarat and in particular Surat and Bengal in particular Kolkata are well known for embroideries. If you can set up a unit in the city you are situated and get into concepts from these sites to provide designer and traditional stuff and designs which women like, there is no looking back. You can also get ideas online. Assemble, create and manufacture garments for which designers and retailers are ready to pay a lot of money. Create uniqueness to go even ahead of the existing designers. 31) Papermaking: With plastic being banned, the paper industry is soon to see a boom. This is the right time to set up a small industry and start manufacturing paper of paper products to fulfill the growing needs of the market. 32) Corrugated Boxes: This is yet another form you can enter the paper product market. Getting into patent products, which are long-lasting and can substitute plastic boxes are what traders and manufacturers are looking for. So start your research and enter the market of simple or variant of corrugated boxes. 33) Tool manufacturing: Tools are needed in all industries. Try capturing the wholesale market for tools and combine the manufacturing and trading tools to attain regular customers. 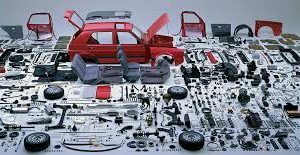 34) Automotive parts manufacturing: Automotive parts have huge profits once you become a giant in the same. Start small to enter this market, which needs less investment, semi-skilled labor, and wholesale consumers. 35) Ceramic tile manufacturing: Rajasthan and Gujarat have always been the hub for tile manufacturing. However, there is no climatic condition associated with the same. So research and start procuring tiles to capture the local and rural areas. Getting associated with the government and bidding in small tenders can also help you grow your business. 36) Creative and unique product manufacturing: Like I stated earlier, if you are a woman with limited time get into making creative products like envelopes, cards, Rakhis, handmade jewelry and exhibit the same as and when possible. However, you need a thorough cost analysis before fixing up the selling price. 37) Woolen products manufacturing: Handmade woolen products have become rare and people now aspire to possess one. If you have the right skills, start making and manufacturing woolen products. Most of the products mentioned have a potential online market, which remains unexplored. 38) Paper / cloth bag manufacturing: Increased demand, great potential, limited skills and less space is what I would add for this industry. The market is huge you just need to be quick and add strength to the product for its longevity. 39) Chalk manufacturing: Chalk manufacturing is an old business, but the demand still remains particularly in rural educational areas. 40) Ink / paint manufacturing: Ink is in demand in education, printing and chemical industry. The uses are many and the manufacturers are limited. It required the right machinery and skills to suit the need of the client/ customer. Various variants might include industrial ink, ink for pens, non-removable ink and so on. 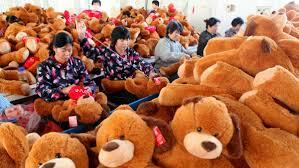 41) Toys manufacturing: China is the major competitor, antidumping norms have made your life better if you are planning to enter this market. Simple toys to electrical ones are found in every house with children. With a growing population, this business has huge potential. This is one of the best small manufacturing business ideas that would continue to have demand in future. 42) Aluminum door window manufacturing: This requires a big space and working capital. So if you have the space with limited capital, you can apply for loans and get into the manufacturing of the aluminum door and windows. 43) Wafer making: Small in-house workshop to manufacture banana and potato wafers, which has a good taste sells even better than hotcakes. It is a brilliant way to start your part-time job. 44) Fruit / Granola bar making: Health cautious people are now looking out for a variety of such products. Simple to make and sell. Do not forget to add nutritional values on the package and make it vegetarian for the better confidence of the consumers. 45) Palm Oil Processing: The main raw material is the palm fruits. Palm oil is important edible oil. It has commercial use and the same is also used in the pharmaceutical industry. Although palm oil processing is profitable and capital intensive, it has less competition, making it a good avenue to enter. 46) Oil processing: If you belong to an agricultural zone or can procure the raw materials needed for making oil, it is a good business, which is completely based on the machinery being used. Unskilled and semi-skilled labor works well to reduce your costs and increase profits. 47) Hair accessory making: check out the web and explore the way people are now becoming fashion freaks and spend on accessories. Hair accessory making and trading need less storage space, labor and capital. If you possess the creativity, hair accessory making can be a brilliant choice to start your business. 48) Jewelry making: Follow the trends; use your expertise and trade to make the youth look better. Artificial jewelry trading is an upcoming business and is gaining popularity with increasing prices of precious metals like gold, silver, and diamonds. This is one of the best manufacturing business ideas for those who loves gold and gold jewelry. 49) Ice block manufacturing: RO water, right machinery and a warehouse to store the bocks are mandatory requirements for setting up this business. Hotels, restaurants, bars, pharmaceutical industries all look out for safe and healthy ice for serving their customers as well as preserving the medicines from getting spoilt. 50) Ice cream cone making: Yet another interesting avenue with small-scale businesses. Ice creams are sold around the year and so are the cones. Variety of same ranging from simple to flavored cones can help you capture giants like Baskin Robins, Kwality etc. to use your product. They were giving out job works to reduce their work. I want to know about the product which is of daily use to human being and which has got a huge and continuos market. At the same time, I also want to know the detail information for the production of that particular product.